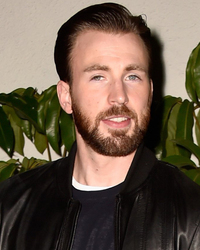 Christopher Robert Evans began his acting career in typical fashion: performing in school productions and community theater. He was born in Boston, Massachusetts, the son of Lisa (Capuano), who worked at the Concord Youth Theater, and G. Robert Evans III, a dentist. His uncle is congressman Mike Capuano. Chris's father is of half German and half Welsh/English/Scottish ancestry, while Chris's mother is of half Italian and half Irish descent. He has an older sister, Carly Evans, and two younger siblings, a brother named Scott Evans, and a sister named Shana Evans. The family moved to suburban Sudbury when he was 11 years-old. Bitten by the acting bug in the first grade because his older sister, Carly, started performing, Evans followed suit and began appearing in school plays. While at Lincoln-Sudbury Regional High School, his drama teacher cited his performance as "Leontes" in "The Winter's Tale" as exemplary of his skill. After more plays and regional theater, he moved to New York and attended the Lee Strasberg Theater Institute. On the advice of friends, he landed an internship at a casting office and befriended a couple of the agents he regularly communicated with - one of whom later took him on as a client. The screen - not the stage - then became his focus; Evans soon began auditioning for feature films and television series. Evans made one of his first appearances on The Fugitive (2000) (CBS, 2000-2001), a remake of the 1960s series and feature film starring Harrison Ford. In the episode "Guilt", Evans played the son of a small-town sheriff who tries to exact revenge after Dr. Richard Kimble - incognito as a liquor store owner - refuses to sell him and his friends alcohol. After small roles in Cherry Falls (2000) and The Newcomers (2000) - two unknown low-budget features - Evans appeared in Boston Public (2000) (Fox, 2000-2004) as a murder suspect. He then appeared in his first major feature, Not Another Teen Movie (2001), a spoof on teen comedies wherein he played a jock who makes a bet that he can turn an unpopular and unkempt girl (Chyler Leigh) into prom queen. After filming a couple of television pilots he was confident would be successful - Just Married (2003) and Eastwick (2002) - he appeared in another listless teen comedy, The Perfect Score (2004), playing an average, ho-hum student who takes part in a plot to steal the SAT test. Hijinks naturally ensue. Then, Evans broke through to the Big Time, grabbing the lead in the kidnapping thriller, Cellular (2004), a suspenseful B movie with a cheesy gimmick - a random wrong number on his cell phone forces him into a high-stakes race to save an unknown woman's life. Despite an unassuming performance from Evans and Kim Basinger as the damsel in distress, Cellular (2004) failed to break any box office records or please a wide majority of critics. Evans then prepared himself for super stardom when he signed on to play Johnny Storm in Fantastic Four (2005), 20th Century Fox's long-awaited adaptation of the Marvel comic. Although the film was wildly uneven and disappointing, Evans nearly stole the show with his energetic, unfettered performance. In that year itself, Chris was noticed by critics and made it into magazine and Internet countdowns, scoring himself a third position of the hot body countdown from Gay.com and #18 on E! Television's 2006 101 Sexiest Celebrity Bodies. The year 2007 also proved to be one successful year for Chris, as he had two movies released around the world that same year, starting with the second installment of the Marvel franchise Fantastic Four. Chris received positive reviews for his performance. The Nanny Diaries (2007), where Evans played Harvard Hottie, showed his sensitive. The year 2008 saw Chris Evans' part of the movie Street Kings (2008), playing the character Detective Paul Diskant. The movie is about police officers trying to cover up their wrongdoings and audiences got to see a serious side of Chris. In the same year, Chris also worked on the movie The Loss of a Teardrop Diamond (2008). 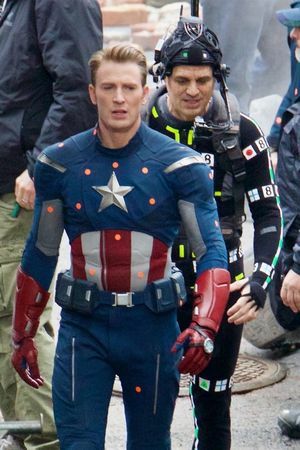 Spills the (Jelly) Beans on Chris Evans!!! PAYS UP SUPER BOWL BET ... Hey Kids, It's Star-Lord! Chris Evans Snaps Back At Ann Coulter!